Far East Film Festival 20 announced the world premiere of Aihara Hiro’s “The Shoot Must Go On”. 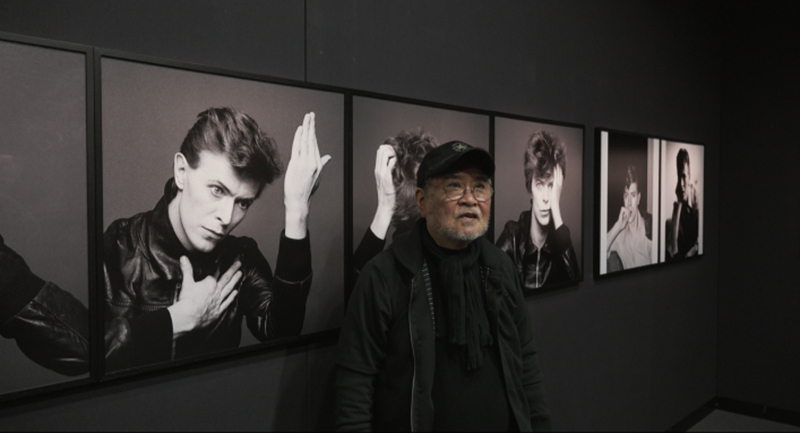 A film about Sukita Masayoshi, the Japanese photographer who captured 40 years of David Bowie’s carreer. We are all aware that ‘the man who fell to earth’, David Robert Jones aka David Bowie, played many roles throughout his lifetime and was always attracted to change, with the exception of his loved ones, with whom he was interestingly more inclined to persevere. Just ask Sukita Masayoshi, the Japanese photographer who captured 40 years of Bowie’s life through images (the most famous one being the legendary cover of Heroes), as well as 40 years of rock, glam and punk history. A whole lotta Bowie, but also Iggy Pop and Marc Bolan’s T.Rex in Sukita – The Shoot Must Go On, directed by Aihara Hiro, produced by Aihara Hiromi with Sukita Aki. Udine’s audience will have the chance to watch its world premiere thanks to Far East Film Festival 20! 115 minutes of anecdotes and memories, not at all nostalgic or self-important, told by Sukita himself, (while the screen ×lls up with a multitude of amazing photos!) and by his appraisers such as Ryuichi Sakamoto, Jim Jarmush, His Majesty Kore-eda Hirokazu and the guitarist Hotei, author of Kill Bill’s theme song. «The first time I saw Bowie – Sukita recalls – he was performing on stage together with Lou Reed. It was so powerful and special, so different from all the other rockers! I immediately knew that I had to photograph him…». It was 1972. The rest is history…or shall we say, legend. Let us remind you that Sukita – The Shoot Must Go On will be released in Japanese cinemas this May, following the Udine screening. Asian Film Vault: Far East Film Festival 20 announced the world premiere of Aihara Hiro’s “The Shoot Must Go On”.